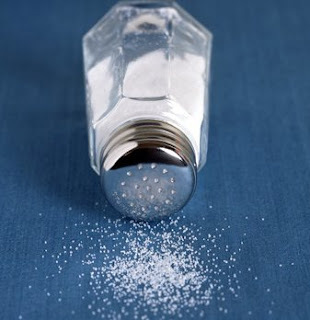 Question: Would you go out to eat at a restaurant where the use of salt has been completely banned? And we're not just talking on your table -- but by the chefs in the kitchen as well? Well, if NY State Assemblyman Felix Ortiz has his way, the only salt added to your meal will come from the chef's salty tears. Anyway, and just in time in my opinion, some of Manhattan's top cooks have already started to blast the idea, saying the legislation lacks a certain hint of something. "New York City is considered the restaurant capital of the world. If they banned salt, nobody would come here anymore," said Tom Colicchio, star of Top Chef and owner of Craft. "Anybody who wants to taste food with no salt, go to a hospital and taste that," he said. Couldn't agree more, Chef Colicchio. Being health-conscious is indeed a conscious decision that patrons should decide -- for themselves. Thank you. Mr. Ortiz needs to find something else to do with his time and stay out of our lives.